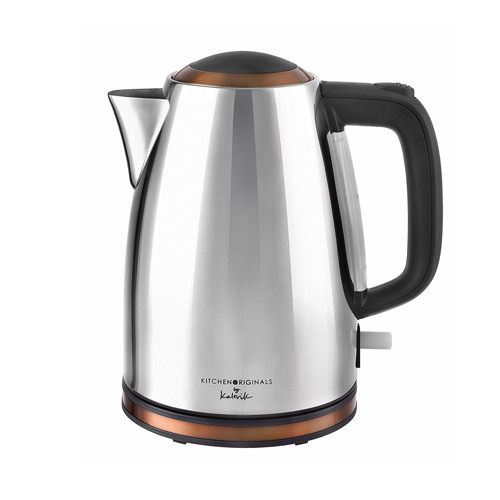 A stainless steel kettle with copper trims by Kalorik, with a large 1.7 litre capacity this kettle is ideal for any home be it large or small you can make a round of hot drinks in just one boil. 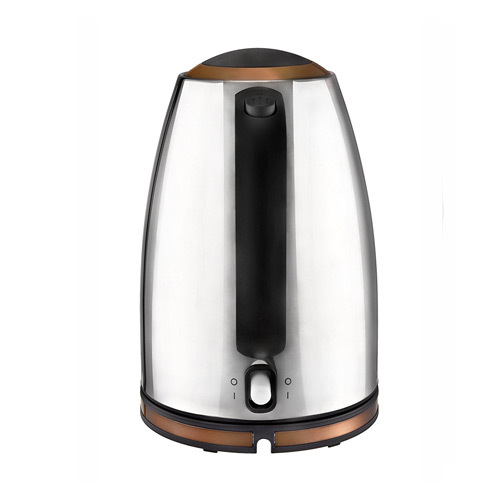 The rapid boil technology and 2600-3000 Watts of power ensure that you will not be waiting around for the water to boil. 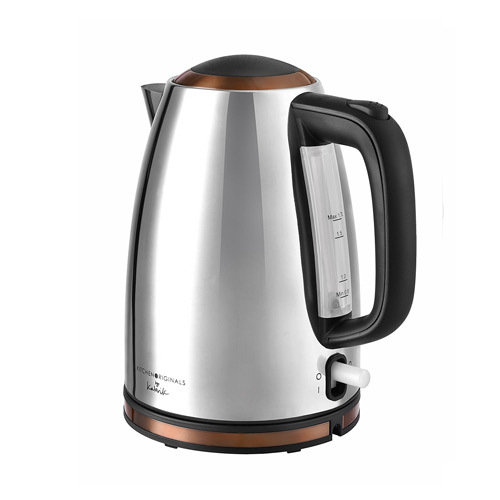 The feature packed stainless steel kettle comes with boil dry protection so you will not damage the kettle if it is boiled accidentally with no water in it. 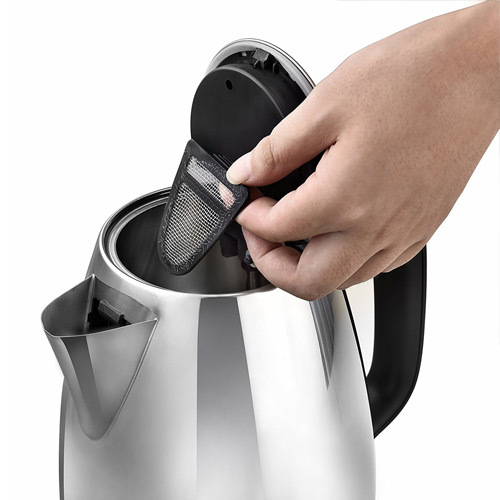 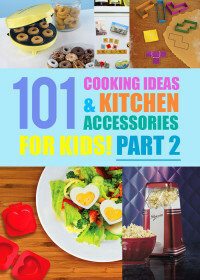 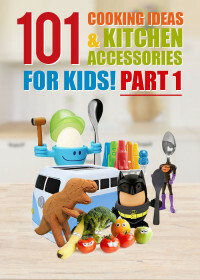 The kettle is also easy to clean and has a removable and washable limescale filter. 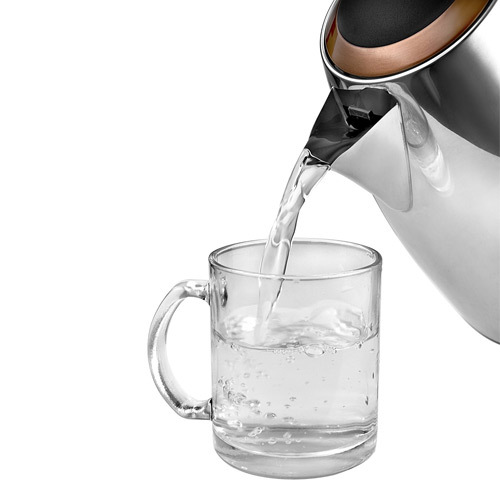 The clear and precise water gauge will also ensure that you always fill the kettle with the right amount of water for your needs, saving on both time and energy. 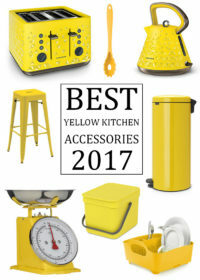 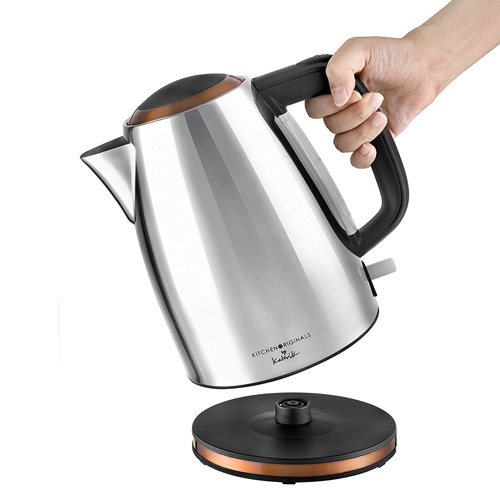 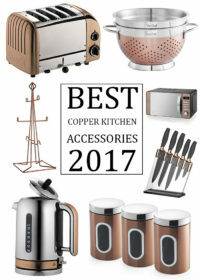 This lightweight and sleek looking kettle is easy to pour and has received some positive reviews that you can take a look at in the next tab, if you are looking for a stainless steel kettle that is well priced and will fit in with a silver or copper themed kitchen area then this kettle is highly recommended.